The magnitude of outstanding pensions and gratuities to be paid to Veterans of Reduction in Force (RIF), Survivors Benefits, ex-gratia and Uganda National Liberation Army stand at over Shs. 540 billion, according to a 2017 final report on comprehensive review and restructuring of government ministries, departments and agencies (MDAS). The report is a result of a study done to address Uganda’s public service jurisdictional ambiguities, inefficiencies, obscurity in accountability, performance gaps inadequate manpower and wastage of resources, across MDAs. The study was done by conduct Adam Smith International and its consortium partners, UMACIS, DCI and Incafex. 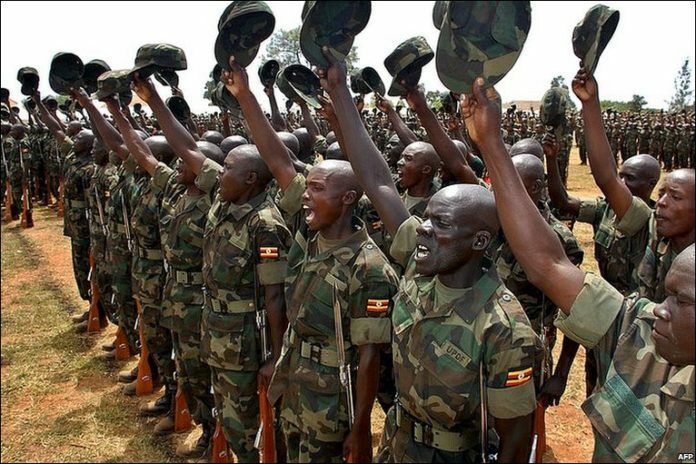 According to the report, veterans numbering 37,300 demand over Shs183.4 billion while survivors numbering 18,501 demand over Shs319.5 billion. On the other hand, UNLA (Ex-gratia) who number about 19,948 demand from government over Shs26.4 billion. Further, there is also a balance of over Shs10.6 billion meant for other exgratia numbering 7,662. The reports says the backlog of both documented and undocumented military pensions and gratuities and Survivors’ benefits needs to be settled to improve the lives of those who served the country in the military uniform. It further says that; “the troop morale is not boosted by delayed settlement of terminal benefits in recognition for their contribution to the security of the country. The report urges government to pay these monies as soon as possible, arguing that Military veterans are faced with Welfare challenges that could create a possibility of internal security threats by a large number of disgruntled military veterans whose compensation packages have not been paid. In the first quarter of 2018/19 budget Secretary to the Treasury Keith Muhakanizi clarified to the accounting officers that salary, pension and gratuity arrears will have to be paid out of the money that the ministry will release in October, though from the Shs8 trillion released in that quarter, he earmarked Shs43 billion for the payment of pension and gratuity. However,it was not clear whether the money would also cater for army veterans.